Finally! 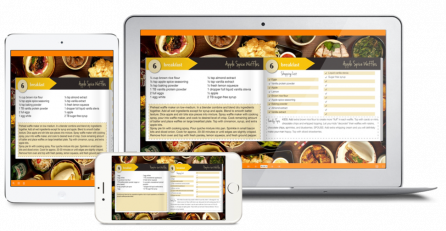 A Simple Way To Create Hundreds of Healthy Delicious Meal Plans For a Women's Body... in Just Minutes! Save $50 when you order today and pay only $49! 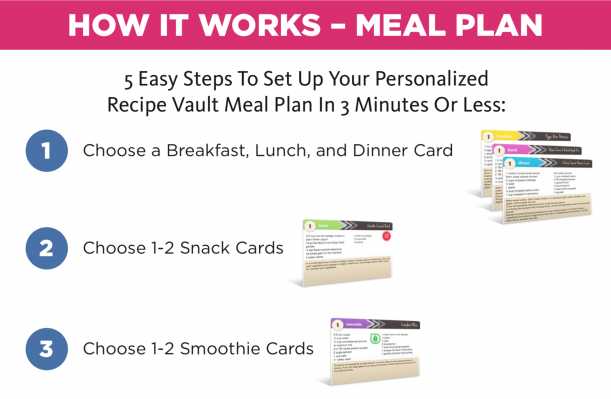 Thousands of Meal Plan Combinations! 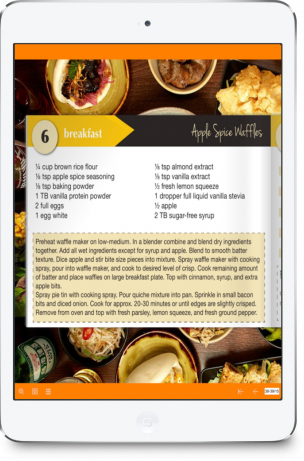 Every recipe has clean yummy ingredients that you can easily substitute with your own favorite healthy proteins, carbs, and fats. Plus you get clear instructions on exactly how to prep and cook the meal with ease. We LOVE convenience. 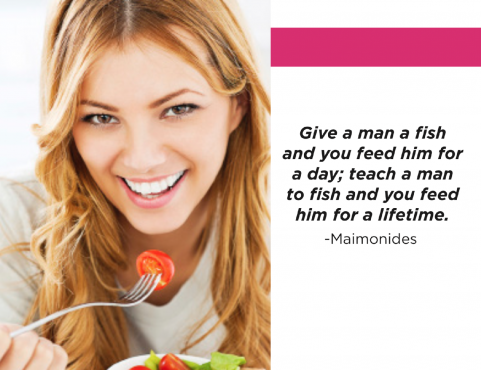 That's key to sticking with your meal plans and shaping that hot bod' of yours! That's why you get a grocery list already built in... Plus Kristi has even taken the time to give you fun and creative tips on how to use this same recipe and tweak it for your kids and/or spouse. 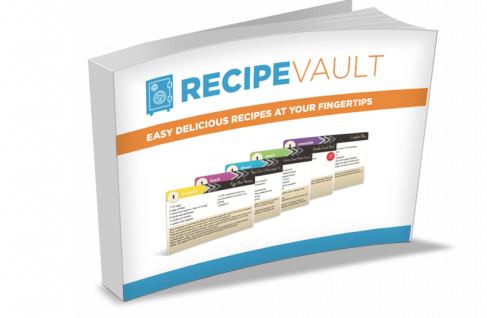 The Recipe Vault it easily worth $99 and that's typically what people would pay for a resource like this. However, you'll save $50 and only pay $49 for everything! Kristi gives you her best tips on keeping meal prep simple and effective for any lifestyle. 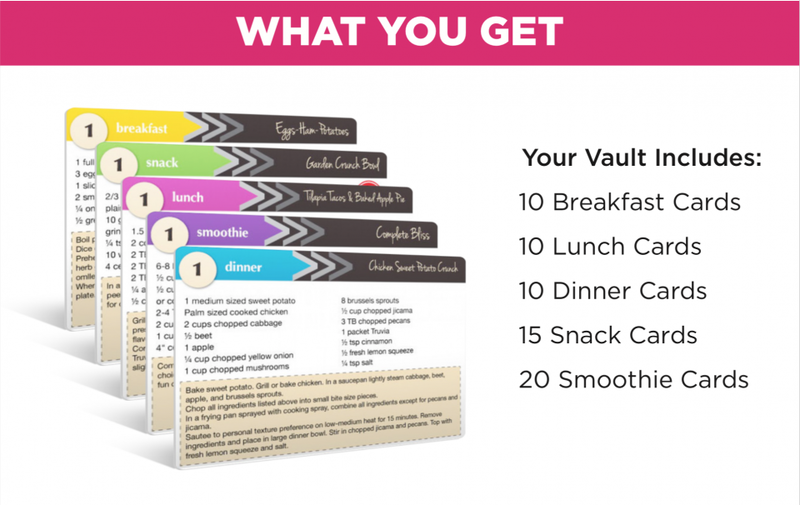 If "Recipe Vault" doesn't show me exactly how to build a quality meal plan that's easy and delicious... if it doesn't make my life easier... or if I simply don't like the recipes, then I understand that I will receive a full refund, No Questions Asked! !